Grain Discovery benefits everyone in the food supply chain - from farmers, to brokers, traders, exporters and buyers. 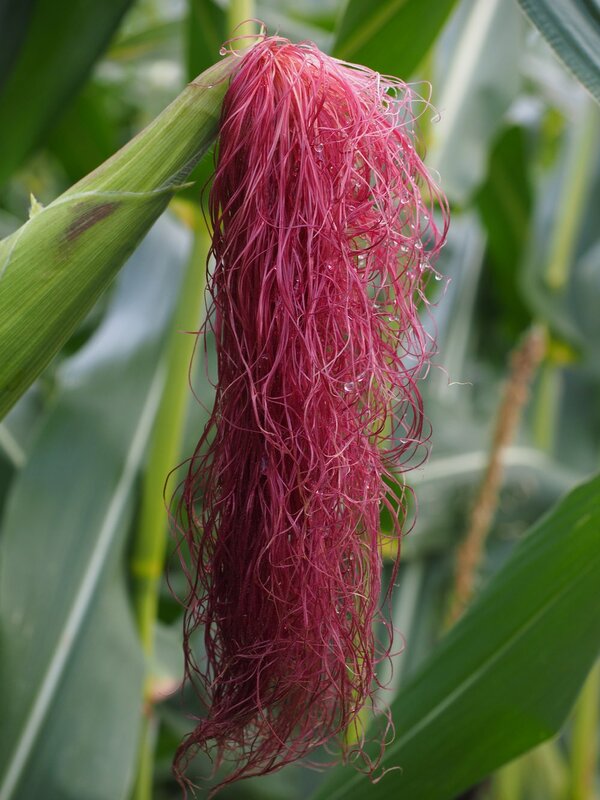 But ultimately, consumers stand to gain the most from knowing where their food comes from. Working as individuals, farmers lack bargaining power. This makes it hard to secure a fair price for their product. Grain Discovery brings clarity to the opaque agricultural cash market by allowing clients to access prior trade history, see what local cash prices are doing, and understand the depth behind the bid and offer. Our unique intelligence empowers both buyers and sellers to set informed prices, with confidence. Grain Discovery eliminates the need for large and expensive accumulation teams at trading companies. Now, one merchant can do the work of many by setting buying limits, targeting different regions whilst their cash price is automatically tracking the futures market. In addition, our self-executing smart contracts avoid the premium charged by clearing houses and financial institutions - enabling these cost savings to be passed on to our clients. Today, when a farmer sells their product, they call multiple buyers to get the best price, gauge market depth and finally, negotiate the deal and payment terms –a time consuming task! We eliminate this time wastage by displaying live prices and making trades possible at a click of a button. We also share these prices with a wide geographic audience, ensuring a more efficient accumulation and logistics strategy, and better prices. 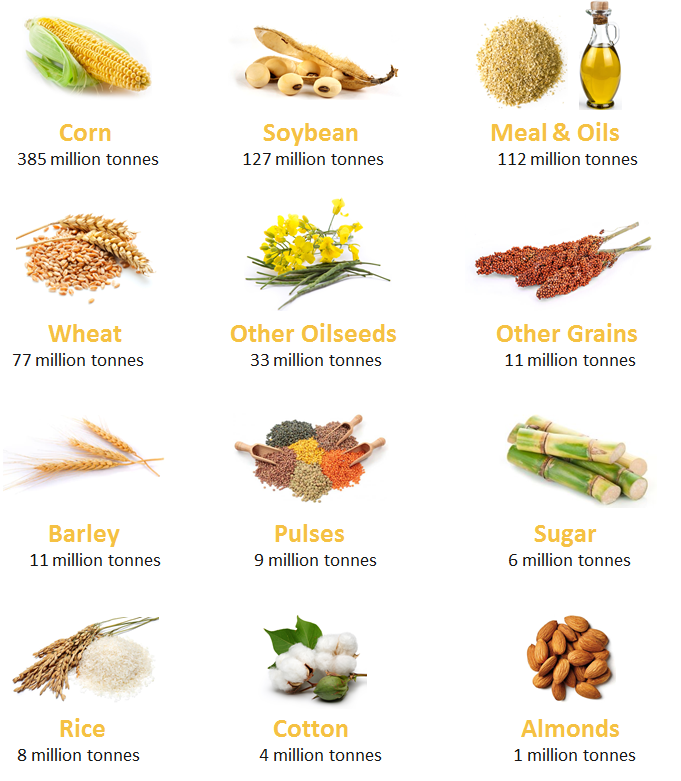 To illustrate the size of Grain Discovery’s possible impact, consider the size of major agricultural crops and their processed byproducts.